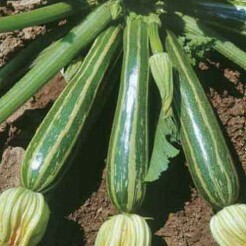 Courgette - Vegetable seeds? 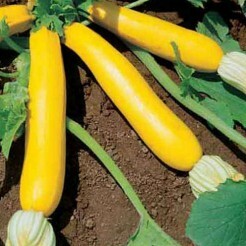 Buy high quality seeds at 123seeds.com. Fast delivery! 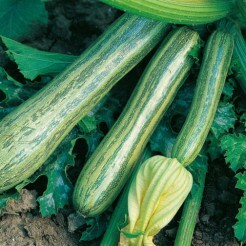 Courgette is an easy to grow vegetable and it deserves a spot in Your vegetable garden. 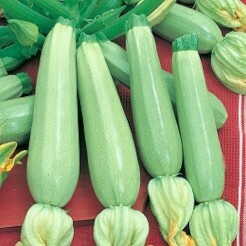 This versatile vegetable needs a lot of water, manure and warmth. It rewards a good crop maintenance with a large amount of delicious and healthy fruits. 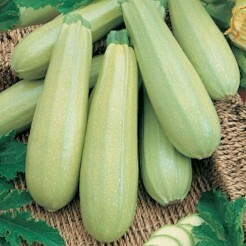 Little courgettes have more flavour, but you can also use large courgettes in a lot of recipes. 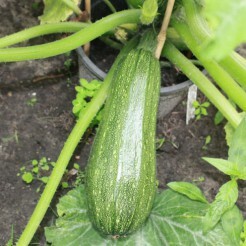 You can cook, stew, bake, roast, stir-fry or deep fry courgette. 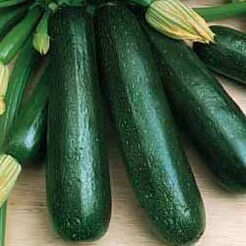 You can scoop the flesh of the courgettes and fill them with rice or minced meat. 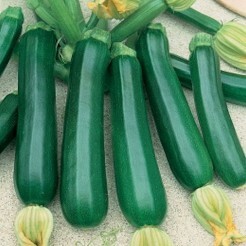 Roast these filled courgettes in the oven. 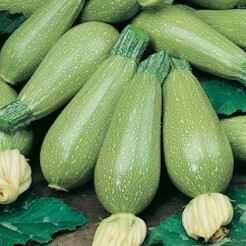 The flowers of courgette can be filled with cheese and deep fried as a snack.